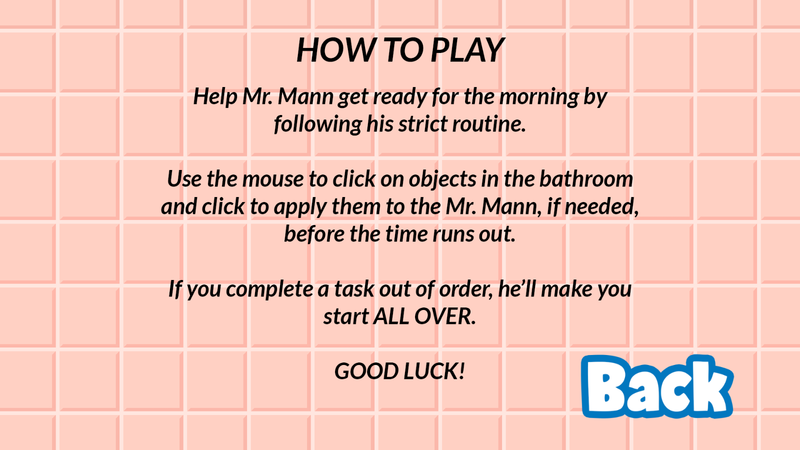 Mr. Mann is a fabulous man, and he has to get ready for every fabulous day in just the right order and just the right way. 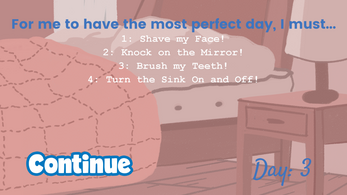 After all, for Mr. Mann, a terrible morning leads to a terrible day, but a perfect morning makes for a perfect day! 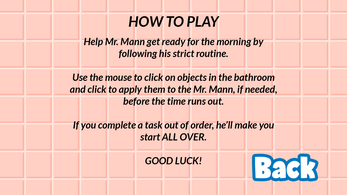 You can help him get ready for the day by following his specific list of tasks, which change and are added to every day. 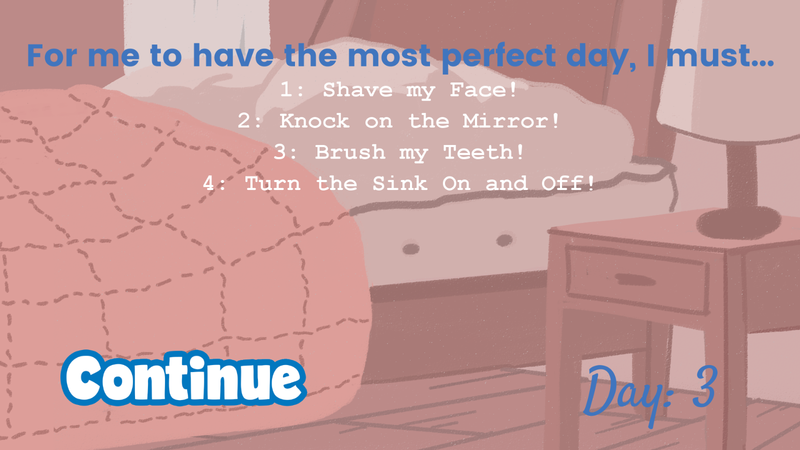 As more tasks are added, how long can you last? 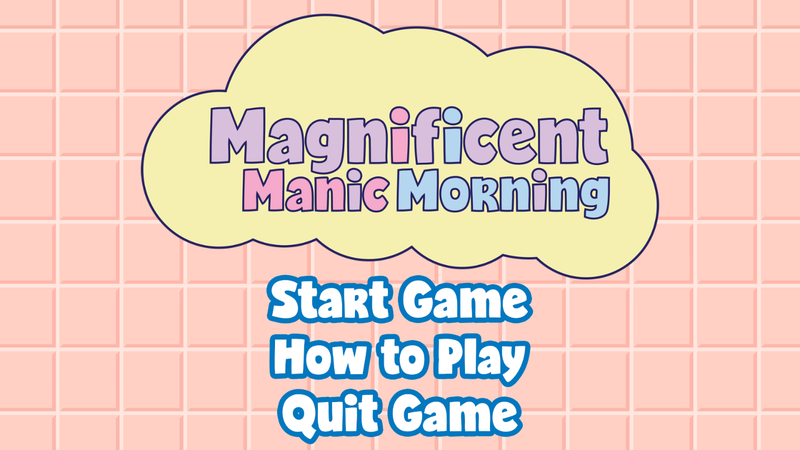 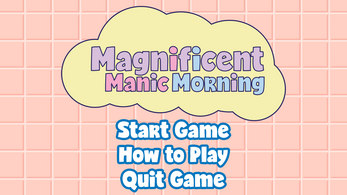 Download, unpack, and run "MagnificentManicMorning.exe".